The development comes days after Modi was tracked by UK’s Telegraph newspaper in London — it reported that he was living in an expensive flat from where he was running a diamond business. 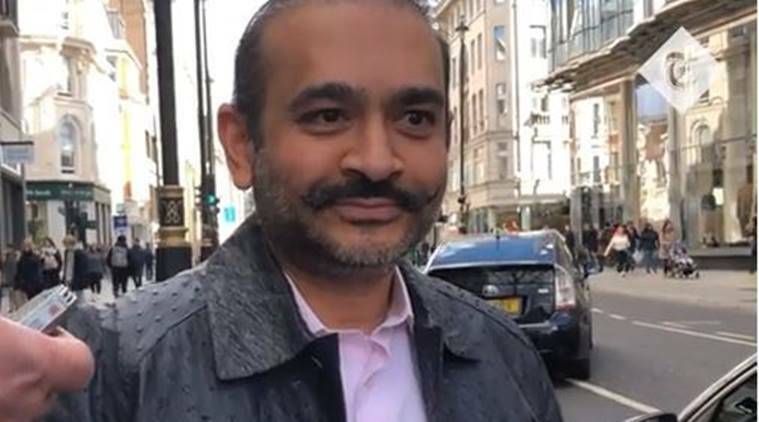 Fugitive jeweller Nirav Modi is likely to be placed under arrest soon by UK authorities after the Westminster Magistrate Court in London issued a warrant against him a few days ago, sources in Enforcement Directorate (ED) said. The court has admitted the extradition plea by the agency and issued an arrest warrant, they said. “We have been informed by the authorities there about the issuance of a warrant against Nirav Modi. It officially marks the beginning of extradition proceedings against him,” an ED official said. According to ED sources, Nirav Modi will be arrested and released on bail on the condition that he cannot leave the country after which extradition proceedings would begin. ED sources said the case will follow a similar procedure as that of Kingfisher Airlines owner Vijay Mallya, whose extradition was approved by the court and is now pending with UK’s Home Office. Modi is accused of siphoning Rs 13,500 crore from the Punjab National Bank through fraudulent letters of undertaking and letters of credit in connivance with his uncle Mehul Choksi and bank officials at PNB’s Brady House branch in Mumbai. UK Home Secretary Sajid Javid had certified India’s extradition request for Modi, triggering the legal process. Nirav Modi is believed to have arrived in London last year and was able to travel in and out of Britain at least four times since his passport was cancelled by the Indian authorities in February 2018.